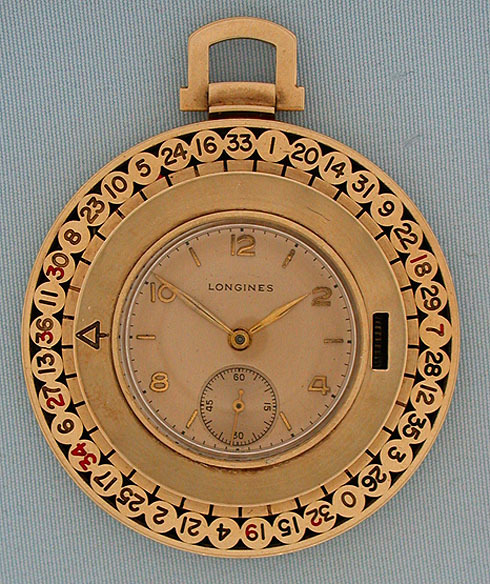 Amusing Longines 14K gold roulette watch circa 1944. 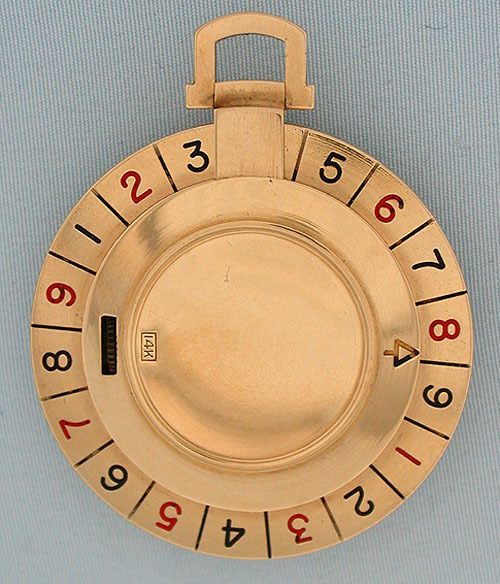 Watch dial with gold applied numerals and gold hands. 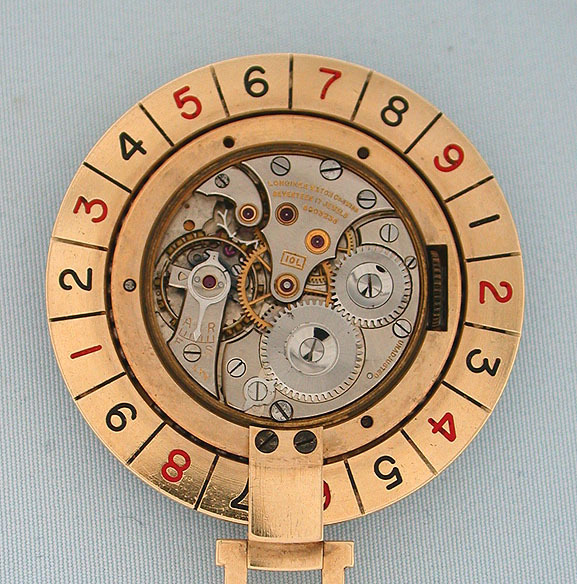 Nickel 17 jewel movement. Spin the outer wheel to play.